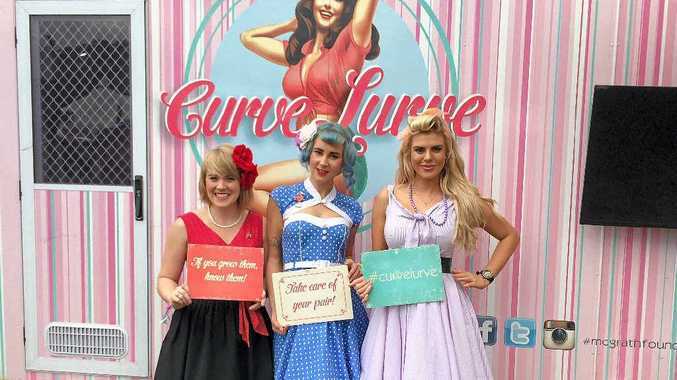 THIS year Curvy the Caravan returns to Splendour with the breast intentions. The recognisable pink caravan, along with its 1950's style "Evas", encompass the fun and youthful approach to breast cancer awareness that the McGrath Foundation's Curve Lurve program is promoting as a way of getting young people engaged in serious conversations about health. And what better place to reach a large audience of young people than Splendour in the Grass. 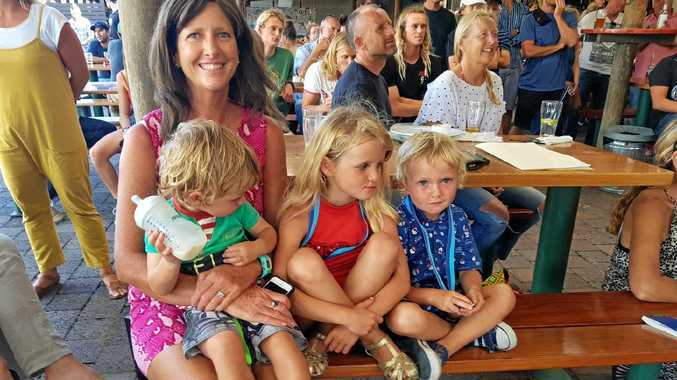 According to McGrath Foundation ambassador and director Tracy Bevan, the education program was a dream of McGrath Foundation's founder, Jane McGrath. "We of course fund breast care nurses but equally as important for Jane ... was an education program, because she was only 31 years old when she was diagnosed," Ms Bevan said. "When Jane passed, over $1.3 million was donated by the Australian general public and Glen (McGrath) and I and the board put that into trust, and a couple of years ago we realised Jane's second dream, which was an education program to make all Australians breast aware. "Curvy is really important, especially going to Splendour for three days; she travels around Australia. She is a beautiful caravan and we try and talk to the next generation in their own language where we make it fun, but it is a very serious message about being breast aware. "It's about talking to all the people of Splendour, not just women, but in a fun, interactive way. "You can get nail art done, you can hula hoop, there's an app, and it's just about sitting with our team and learning to be breast aware." According to recent research 70% of women consider themselves breast aware but only half of those conduct breast checks once a month as required. One of the "Evas" on the ground at Splendour this year is Madeline Ekin, who said the response from festival goers had been positive. "It's been really good so far. Obviously because we're brightly coloured a lot of people are curious to come and see what we're doing and the message is being received really well," she said. "There's been a lot of people who are surprised that they should be checking but also a lot of people who are very appreciative of what we're doing."